Maurice and Ashley are on their way to New York to meet her family. They are planning to get married, but Maurice is nervous because he is African-American and Ashley’s family are rednecks. But after a few practical jokes that freak Maurice out, he realizes he is accepted, and the party begins at their local dive bar. It isn’t long, though, before they are attacked by a gang of four, each wearing a different Beatles mask. They put on Beatles music and begin to massacre the partygoers. Why are they attacking; what are they looking for? And will Maurice be able to save Ashley and her family? 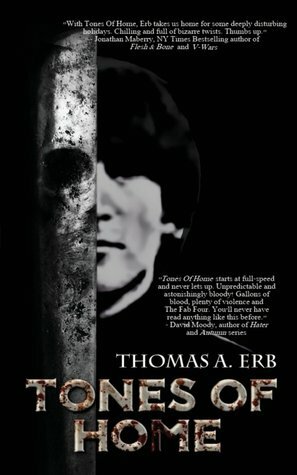 Tones of Home is a creepy, but fun story, full of gore and action. It reminds me of Texas Chainsaw Massacre in its brutality and twisted humor. And including “The Beatles” and their music gives this story a bizarre, but cool twist.